We are a leading manufacturer and supplier of Aluminium Composite Panel Cabin from Karnataka, India. 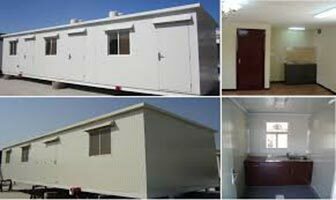 We make use of the latest technology and premium quality raw material to manufacture these cabins. Our product’s excellent design, durability and aesthetic looks are some of the attributes that helped us gain popularity across the country. Furthermore, we give priority to our customer’s requirements while designing the Aluminium Composite Panel Cabin. Our service and delivery is always on time. All Right Reserved Portable Offce Co.